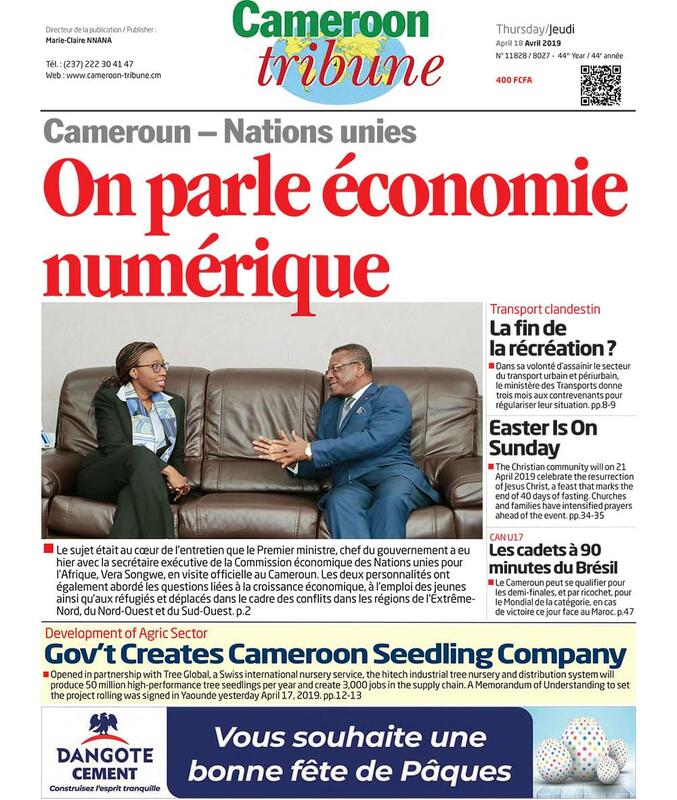 The Minister of Finance, June 20, opened a two-day forum in Yaounde for Cameroonian youth to display innovations in banking and financial transactions. A recent report shows 5.25 million adults nationwide lack access to financial services- an indication of a low level of financial inclusion. The report dubbed “Finscope Cameroun 2017”, said a majority of the unbanked are citizens in rural areas and uneducated women. This is one of many problems to which a youth-led organisation, Business Intelligence Agency (BIA), is providing solutions. The organisation is currently displaying some of the solutions in a forum the Minister of Finance, Louis Paul Motaze opened in Yaounde, on June 20. Dubbed, “Forum Banque Africaine & Innovation,” the event is in its second edition, holding under the theme, “digital finance: digital disruptions, innovation in financial technology (fintech) and mobile payments.” Participants from the Ministry of Finance and financial institutions taking part in the forum are not only being educated on the availability and importance of digital solutions. They are witnessing practical demonstrations on how these solutions can be applied to both private businesses and public services. Clovis Djotié, President of BIA, said “The demonstrations of innovations in mobile payments, artificial intelligence, blockchain, cyber security, big data and data management will reveal the ingenuity of Cameroonian youth and create awareness of digital solutions.” He also said a vital aspect of fintech is mobile transactions which facilitate financial inclusion. Minister Louis Paul Motaze, for his part, praised the initiative championed by youths at home and abroad, saying it falls in line with government efforts to use technological advancements in favour of economic development. He pointed out that the innovations in the financial sector are catalysts of financial inclusion because they bring financial services to citizens wherever internet access is available. “New technology such as blockchain and crypto currencies comes along with risks” he said. Adding that government expects the youth to come up with responses to them, he stated reassuringly that the state is well aware of its role to regulate the fintech sector and protect consumers, and is taking appropriate measures in that regard.